Thirty-three year old Cristián Silva and his thirty-five year old wife, Inés, had an ambitious dream. 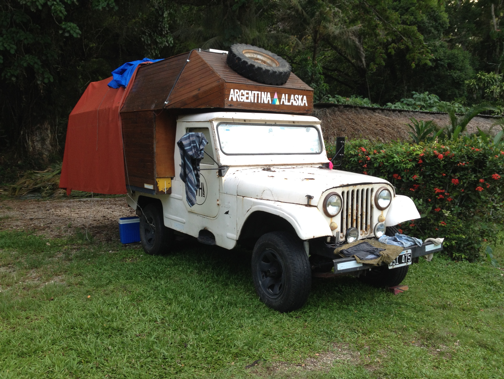 They wanted to drive a “camperized” vehicle from their home in Argentina to Alaska. Cristián worked as a carpenter. Inés was a make-up artist. But there was just one problem. They didn’t have much money. After just a few hundred miles, the vehicle had troubles. It was shaking by the time they arrived in Santiago, Chile. They found a mechanic who said he could fix it. “How much will it cost?” asked the couple. The mechanic told them not to worry. “I know you have a small budget and some very ambitious plans, so it won’t cost you much,” he said. Unfortunately, Cristián and Inés had only $420…and the mechanic wanted $1000. You might be shaking your head, agreeing with the mechanic. Perhaps their plan was crazy. Their vehicle was ancient, and they had shockingly little money. But there’s another side to this. When I was in college, a friend of mine joined a cult. OK, I’m defining that loosely. It was a self-improvement course with enough cult-like factors to make my skin crawl. One day, he dragged me to a meeting. A charismatic guy who looked like William Shatner gave a rousing speech about human potential. “Don’t put your failure or anyone else’s failure into your future,” he said. This Starship captain look-alike wore a pyramid-schemer’s suit. But I loved that phrase. When I became a teacher, I used it all the time. I often intervened when I heard one student giving another kid advice. A well-meaning (or jealous) student might have said to another, “You won’t get into Harvard. My sister had a higher GPA than you, and she didn’t get into Harvard, so don’t bother to apply.” That’s an example of one person putting their sister’s failure into somebody else’s future. We sometimes do it to ourselves. We might try something and fail. Then we fear to try again. But life is short. We never know when it’s going to end. That’s why we should be open to shifting our strategies when we don’t obtain our goals. Perhaps we’re aiming for a certain job, a college degree or we want to lose a specific amount of weight. In Carole S. Dweck’s book, Mindset: The New Psychology of Success, the Columbia University psychology professor says those with a growth mindset embrace challenges. As learners, when they encounter difficulties or when they fail, they open their mind to different strategies. Instead of walking away, they find a way to succeed. In other words, they don’t put their failures into their future. As for Cristián and Inés, you might still say they’re crazy. But I think their picture should be on the cover of Ms. Dweck’s book. One month before their vehicle had troubles, they met a carpenter in Pichilemu, Chile. “He introduced us to a shaper,” says Cristián. “We chose some wood and made some surfboards.” A production crew created a video of the effort. Cristián and Inés took two of the boards with them. 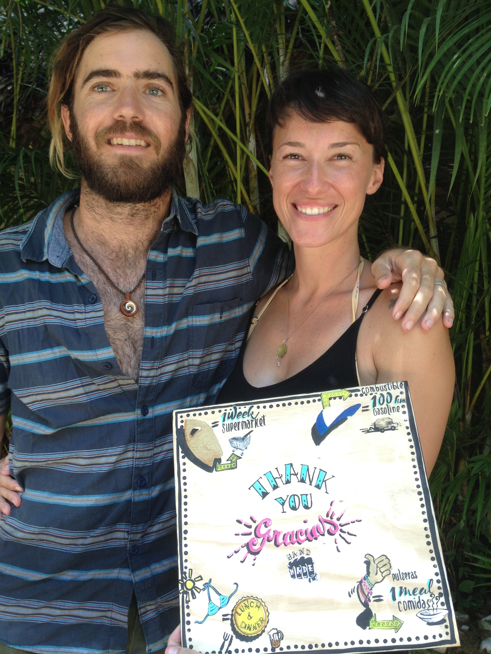 After fixing their vehicle in Santiago, Chile, they sold their surfboards for $100 each. This gave them a total of $220. It provided enough money for them to hit the road again.